A few more photos taken in 2003 around Geraldton & the Midwest. 20 years after the above photo was taken an English Electric R class was again working in the area. 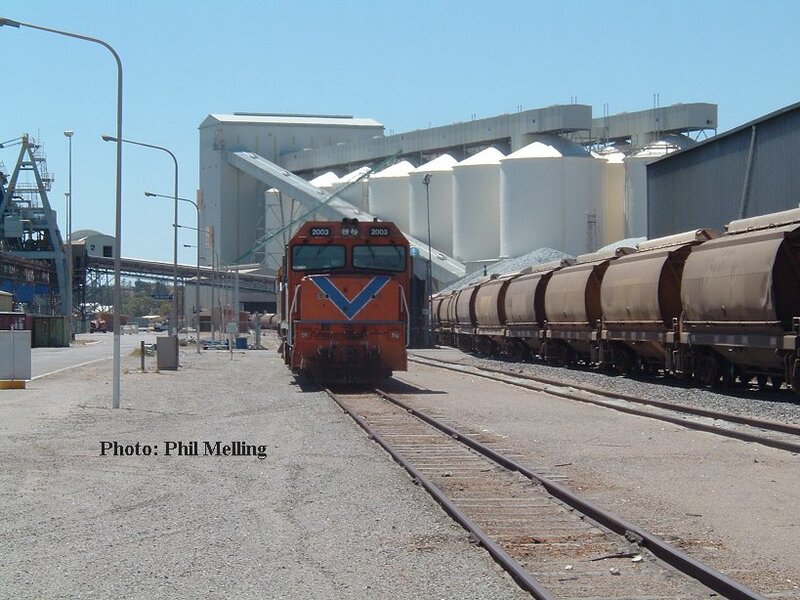 Now owned by South Spur Rail Services R1902 hauls a loaded ballast train on the railway line to Mullewa to ballast the new track that forms the new Ruvidini siding serving Mount Gibson Iron's loading facility. The photo was taken on 17 December 2003. 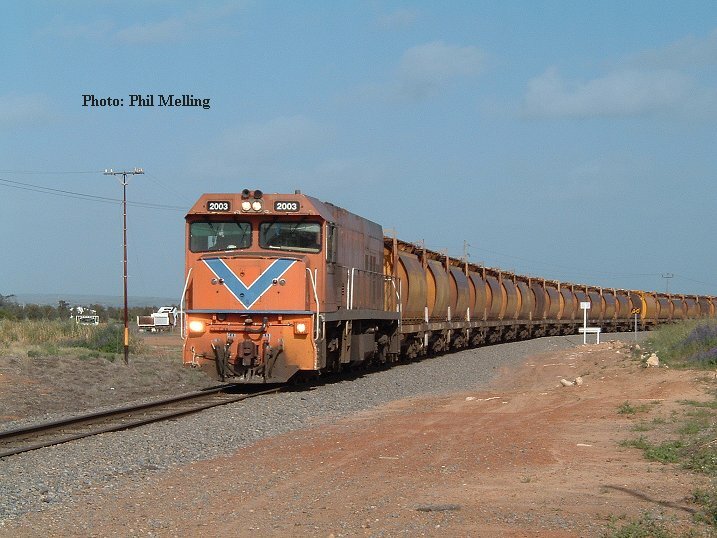 On 2 November 2003 DA1576/P2003 are dwarfed by the infrastructure around Geraldton Port as they run around a grain train. In the low evening sun on 28 October 2003 P2015/P2013 head back to Narngulu via the Batavia Coast Marina. P2013 displaying its former owners name in this sunlight. 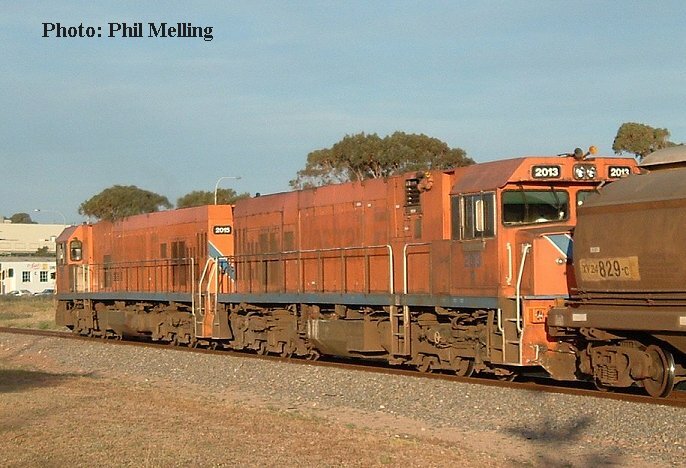 P2003 hauls a loaded mineral sands train into Narngulu on 20 September 2003. 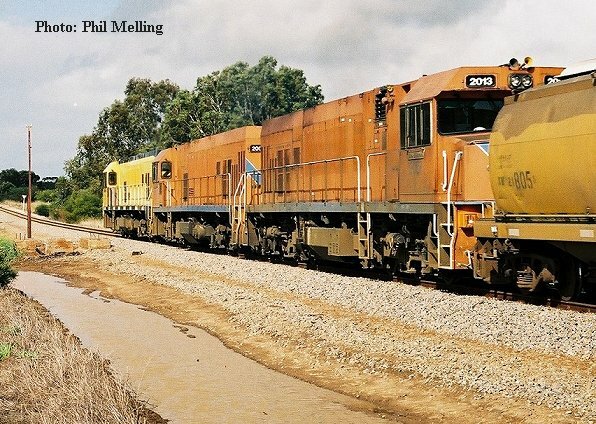 On 27 August 2003, Australian Railroad Group's A1513 assisted P2007 with a loaded coal train into Narngulu. 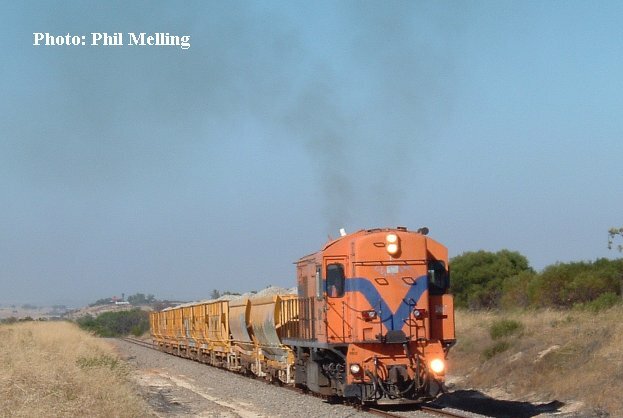 With all three P class in power (P2011/P2006/P2013) a combined loaded grain/ empty coal train heads through Irwin on the former Midland Railway heading for Perth on 6 September 2003.